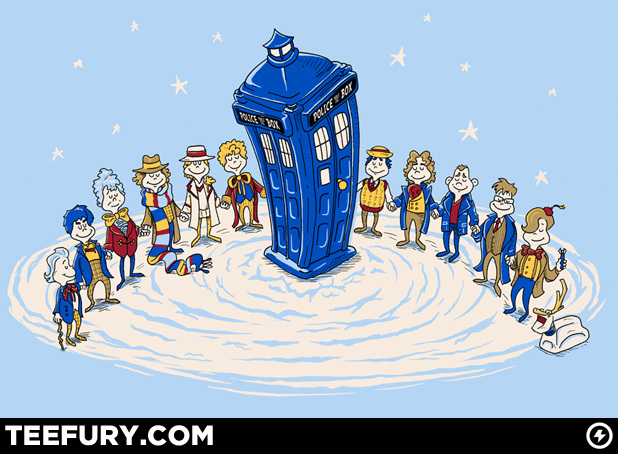 Fruitless Pursuits: December Deal: Doctor Whoville T- Shirt! ...speaking of Christmas, check out the shirt on TeeFury today! I still have yet to see a single episode of Doctor Who (it's so overwhelming to even start), but I know a few people who would LOVE this. It'll make a cheap gift at just $10 plus shipping. Be quick though, it's only available for 24 hours and the clock is ticking!